I have been anxiously awaiting March 15 for a few months now. 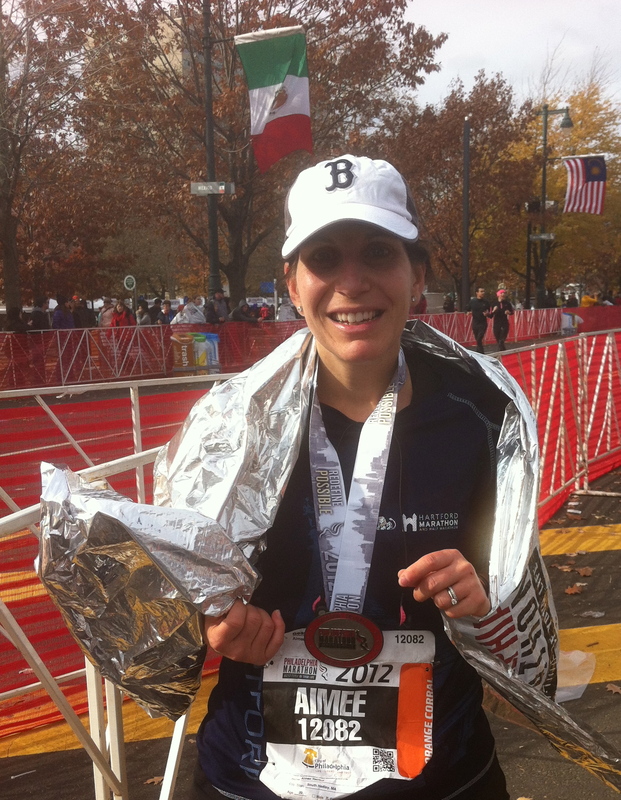 As soon as I crossed the finish line of the Hartford ING Half Marathon back in October I knew that I would pursue a full marathon. I can’t imagine a more fun place than Disney World to experience my first marathon. Carlos will be 5 years old which is a perfect age to explore Disney so we are incorporating a family vacation into the plan. My friend and her husband are also participating in the running events. She is running the 5K and he is doing the Half Marathon. My friend just had foot surgery over the summer and like me never considered running. She is half way into the Couch to 5K program. I’m so excited for her. We are planning to run a 5K together in the spring. I don’t expect to start really training for the marathon until this summer. My cousin, Jenna, has run many marathons and now coaches for Team in Training Ft. Lauderdale. She has already offered me numerous tips but I am expecting to work with her a bit on developing a training calendar. I am hoping to do a couple of half marathons this year and a few shorter races. I thrive on goals. This is quite a lofty goal. But I will accomplish it. I know that I can…one step at a time, literally. My cup is no longer half full and it never will be again! 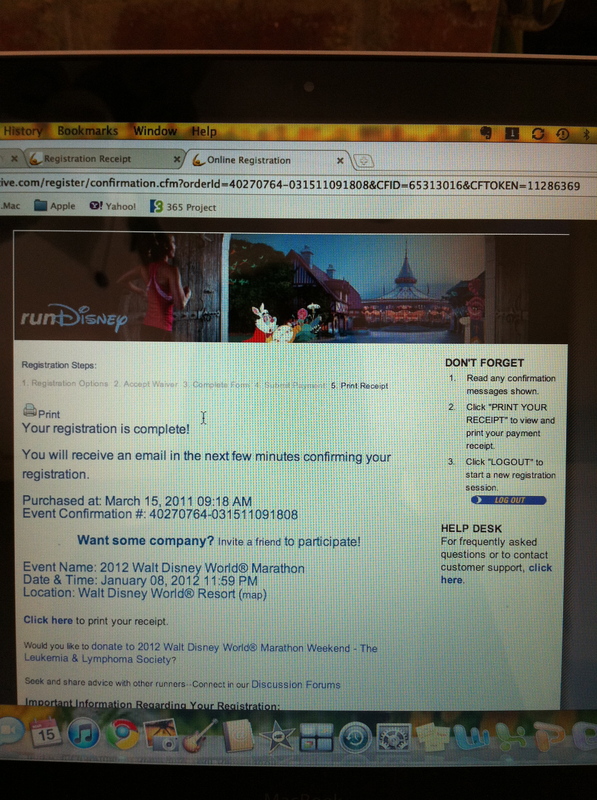 Disney 2012 here I come!!! Woooo hooooo! Congrats to you, Aimee! That is so exciting!!! Thanks Marisa. I’m so excited.